This study aims to determine the effect of Problem Based Learning model and personality type to students' critical thinking ability on colloidal material. 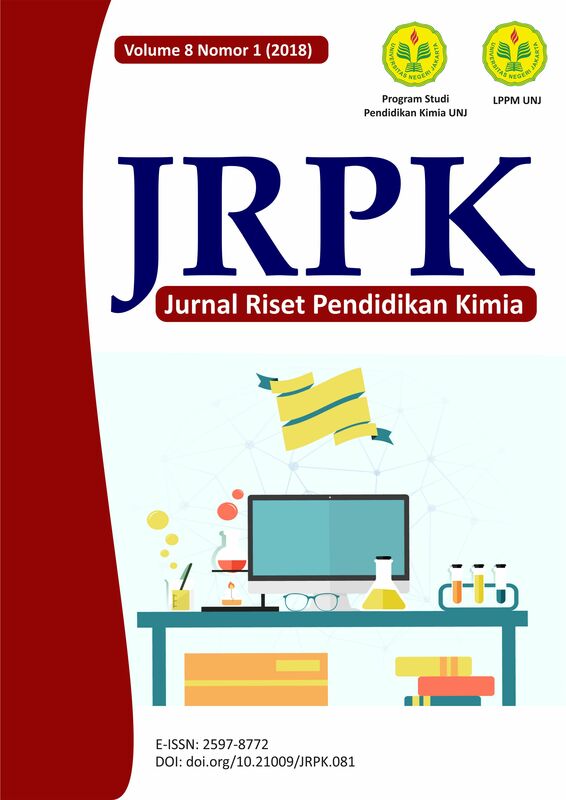 The subjects of the study were the students of class XI IPA2 and XI IPA3 SMA Negeri 5 Tidore Islands in the academic year 2016/2017 selected using cluster random sampling technique. The method used in this research is experimental method with 2x2 factorial design.The instruments used for critical thinking are essay and personality type instruments in the form of questionnaires. Analysis of this research date using two way variance analysis and continued with t-test. The result of date shows that: 1)there is interaction effect between learning model and personality type.2)there is a significant difference of students' critical thinking ability on colloid material taught by model of problem based learning and direct learning model. 3)There is a significant difference in students' critical thinking ability on colloidal material between extroverted and introverted personality students. 4) critical thinking skills of extroverted students taught with a higher problem-based learning model than if taught by direct learning model.5) the critical thinking skills of introverted students taught with Problem Based Learning model is lower than if taught by direct learning model. From the above results, it can be concluded that the model of Problem Based Learning is more suitable applied to students who have extroverted personality types to improve their critical thinking skills, especially on colloid material than introverted students.